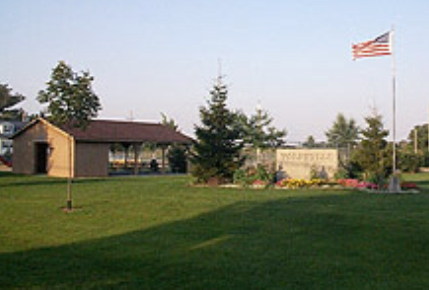 Clarksville Area Recreational Development, is a Semi-Private, 9 hole golf course located in Clarksville, Iowa. Clarksville Area Recreational Development golf course first opened for play in 1968. Clarsville ARD golf course was built on hilly terrain with of mature trees lining its fairways. The greens are large, and water hazards come into play on several holes. This semi-private course does not allow non-members to play the course on holidays. Clarsville ARD golf course plays to a 9-hole par of 36. The course measures 3,065 yards from the back tees and 2,696 yards from the forward tees. The logest hole is #7, a 460 yard par-5. The shortest hole is #8, a 120 yard par-3.